Conditions like osteoarthritis can cause limitations in movement. The damage and inflammation on the affected joint can make it difficult to extend or flex it. Knee replacement surgery is a very common procedure recommended for patients with these conditions. Over 90 percent of those who have had knee replacement surgery experienced significant improvement in their symptoms. If this procedure is recommended to you, it is important to know what to expect before, during, and after the surgery. Preparing for a procedure can make your recovery faster and easier. You can recover quickly from the surgery if you are in better shape. If you are overweight or obese, try to shed some pounds before the procedure. You can ask your doctor what exercises you can do safely before your surgery. If you smoke, stop or cut it down. Smoking tobacco delays your recovery and increases your chances of post-surgical complications. Learn and try the physical therapy exercises you’ll be needing after the procedure. It would also help to try out assistive walking devices that you may need after the surgery. If there are things that concern you about the surgery, whether it’s about the preparation or the procedure itself, ask your doctor. Addressing these concerns can help alleviate your anxiety towards the surgery. Prior to the procedure, you will have your blood tests and X-rays taken. The doctor will use your X-ray results to determine the extent of damage in your knees. During this period, the doctor will assess the muscles supporting your knee and how well you can move the affected joint. Like any other preparation for surgery, your doctor will ask about your medications and supplements and history of bleeding, clotting, or infections. As a part of the preparation for the procedure, you will be required to fast for 8 hours prior to surgery. The nurse will insert an intravenous line for fluids and medicines. How long the surgery will take would depend on the type of knee replacement you’ll have. If you’re a young, healthy adult, you may have the minimally invasive procedure, which may be done as an outpatient procedure. This means a hospital stay may not be needed. However, if you’re getting a traditional knee replacement surgery, expect to stay in the hospital for at least 1 to 4 days. Most people who undergo knee replacement are given general anesthesia. In some cases, the doctor may opt for the spinal/epidural anesthesia, which will only numb the area below the waist but you’ll be awake. 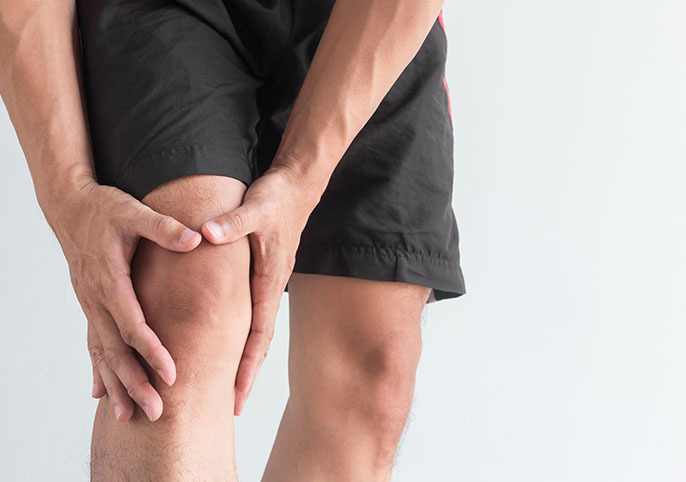 Once the anesthesia starts to take effect, the doctor will make an 8 to 10-inch cut in front of the knee (it’s a 4 to 6-inch cut if it’s a minimally-invasive procedure), take the damaged part of the joint, and implant the artificial knee. It takes about 1 to 2 hours to complete the procedure. Initially, you may find it hard to be on your feet on your own the day after the surgery. Hence, you may be needing parallel bars, a walker, or other assistive devices. Most people who undergo knee replacement experience significant improvement in their flexibility just within a month. To help manage the swelling and strengthen the muscles, it is important that you exercise your knee often. A physical therapist can help you come up with a good set of exercises for your specific needs.